Lewis Hamilton raised the standard of Formula 1 in 2018 in a way only previously achieved by the likes of Lewis Hamilton and Ayrton Senna. That's the view of Formula 1's motorsport director Ross Brawn, who lauded Hamilton's one-lap prowess in particular. 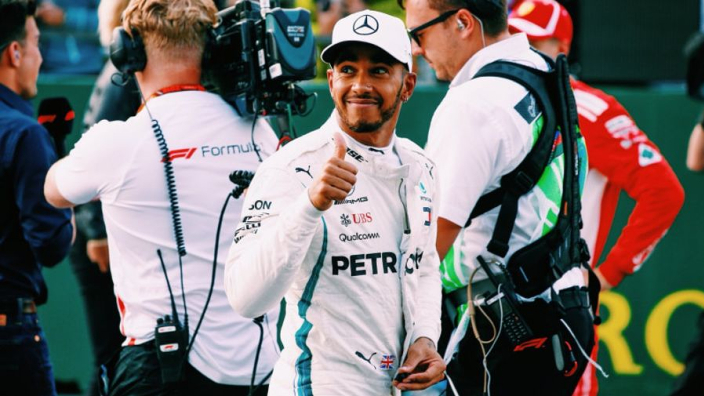 Hamilton added a further 11 pole positions to his record tally in 2018, including impressive performances in the wet in Belgium and Hungary, as well as a lap in Singapore that he labelled one of his very best. A fifth world title has put Hamilton on a pedestal with the all-time greats of the sport, and Brawn says it is a status that is befitting the Mercedes man. "Sometimes you get a driver who finds the performance you just don't expect," Brawn told Autosport. "There are a couple of occasions, particularly in qualifying, when Lewis did that. "He just took people's breath away. Those are the things you look at, and you just don't know where the performance comes from. "Everyone thinks they know what the reference is and suddenly the driver does something that changes the reference. "I was fortunate to see that sometimes in Michael Schumacher. We saw it with drivers like Senna. And I think we saw that on a couple of occasions with Lewis this year. "Those are the things you remember because as an engineer, you almost can't work out where it's come from. "It's like a surreal level that they've reached and that's always very special when you see a driver do that."